Spring training 2017. His rotation spot anything but secure, Luis Severino entered camp on the backs of a massively disappointing sophomore campaign. After rocketing through the Yankees system and putting together an excellent rookie year just two summers before, Severino had taken a massive step back in his 2016 campaign. 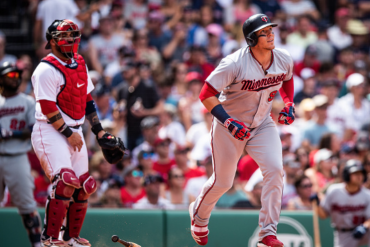 As a starter, his K% dropped from 22.0% to 18.1% and his HR/9 shot up from 1.3 to 2.1, resulting in a shocking ERA rise from 2.89 to 8.50. 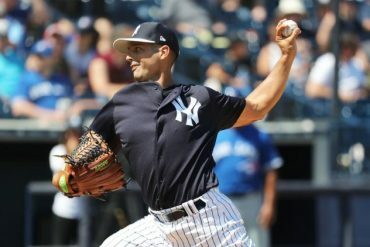 He had been demoted to Triple-A, called back up as a reliever, and whispers in the Yankee universe suggested it was time to give up on Severino as a starter. After being re-imagined in a bullpen role during the final months of the season, Severino pitched to a 0.39 ERA and 2.29 FIP, with an impressive 29.1% strikeout rate and just 25.5% hard contact against. Perhaps his elite velocity and inability to master his changeup would play better in short stints out of the pen. But while Yankee talk shows and Twitter were busy writing him off, Severino was hard at work. He focused on improving his fastball and slider command and honing his changeup until it could be at least a serviceable third pitch. 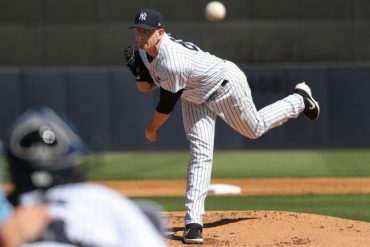 The widespread calls for a permanent bullpen move persisted through spring training, with Chad Green, Bryan Mitchell, Jordan Montgomery, Luis Cessa, and even Adam Warren all competing for just two rotation spots. 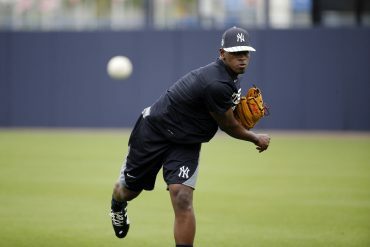 But Severino showed just enough in Spring Training to warrant an opening day roster spot as a starting pitcher. Severino has now established himself as the unquestioned ace of the Yankees staff, and one of the best starters in the entire MLB. Since the start of 2017 his 2.60 ERA, 2.76 FIP, 1.00 WHIP, and 10.1 fWAR all rank among the top 5 in the league. This year, he’s raised his game to new heights as the current favorite for the AL Cy Young, lowering his ERA to an AL best 1.98. 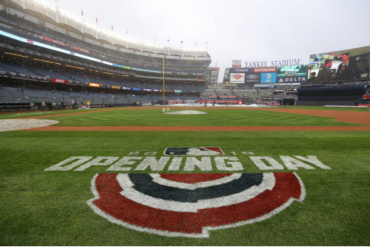 No team is tougher to beat on a given day than these Bronx Bombers with Luis Severino on the mound, as the team is an astonishing 16-2 in his starts this year. 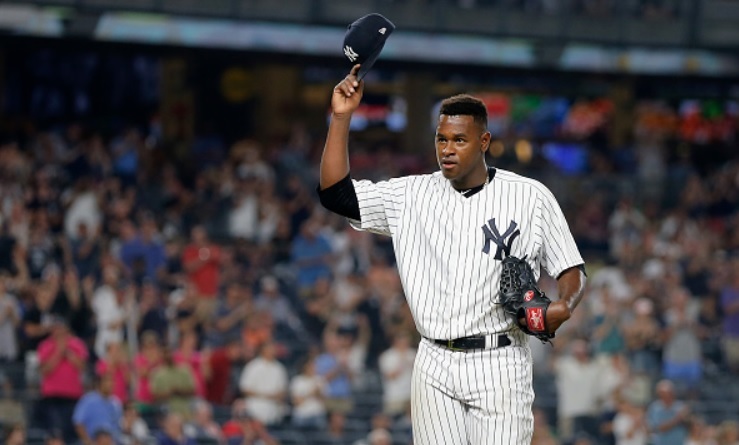 When Severino is chalked in at SP, Yankees fans can typically bet on another W in the books. But while Sevy is without question among the best pitchers in baseball, this decade has been a historically great one for pitching across the league. Generational talent Clayton Kershaw has cemented his name in the history books as one of the best ever, and Max Scherzer is quickly building a case for a trip to Cooperstown. But while there is no doubt competition for the best, or most dominant, pitcher in baseball right now, I’m here to make a different argument. When factoring in age, contract, and team control along with performance, no pitcher in the league can come close to touching Severino’s value to the Yankees. To make this point, I’ll slice the league into two distinct groups of pitchers for which a reasonable argument could be made that they exceed Severino’s value. The first will be pitchers that have genuinely outperformed Severino on the field since the start of last year. For each of these mostly expensive free agent signing pitchers, I’ll try to systematically show that their on-field value do not make up for the stark differences in youth, contract, and injury issues. The second will be other young, talented, controllable and cheap young pitchers of Severino’s ilk. My argument will be that he is head and shoulders above the rest of this pack. This group will include top pitchers who signed team friendly extensions before breaking out as some of the best starters in the league. In the end, these are the pitchers that come closest to touching Severino’s value. Note: all ERAs listed from here on will be the player’s 2018 ERA. Members: Clayton Kershaw, Max Scherzer, Justin Verlander, Stephen Strasburg. Each member of this elite group has, in their own right, made their respective teams look very smart for paying them the exorbitant contracts that they command. They all have contracts exceeding $25 million in average annual value (AAV) placing them among the most highly paid pitchers in baseball. But Severino’s $605,000 contract for this year is almost 50 times smaller, and any extension he may sign through free agency would still see him getting paid a mere fraction of what these superstars command. With the youngest of the bunch, Strasburg, also a full five years older than Severino, it’s clear that Sevy’s current value far exceeds each of these players. To begin, Strasburg (3.46 ERA) and Verlander (2.12 ERA) can hardly even be said to have outperformed Severino these past couple years. While both have been dominant, each comes with a set of concerns that makes it clear that Sevy has greater value. Strasburg is just 29, but his scary injury history including Tommy John surgery raise concerns about his longevity. Verlander, while experiencing a late career renaissance in Houston, is already 35 and looks to be reaching the twilight of his career. Given the comparability of their on field performance and the significant financial and decline related burdens of these two, Severino comes out far ahead. Clayton Kershaw (2.84 ERA) has been the undisputed best pitcher in baseball this decade. However, his back should be a significant warning sign for Dodgers nation. Kershaw has flirted with the DL almost nonstop since last summer, and those issues will likely continue to grow as he moves further to the wrong side of 30. Meanwhile, his on field performance has also clearly suffered due to these injuries. His peripherals since the back troubles began point to the sad truth that Kershaw might no longer be the dominant force he once was. His $33 million contract also means he makes almost twice as much each start as Severino does all year. Max Scherzer (2.04 ERA) has the most compelling argument of these four pitchers. His 2.34 ERA since the start of last season is the best and baseball and one of the few that tops Severino’s remarkable run. He also continues to be one of the most transcendent strikeout talents of this generation, currently sitting on a career best 12.95 K/9. However, Scherzer is already 33, and will be making an AAV of $32.5 million from this year through his age 36 season. With Severino a full nine years younger and with more team control and a fraction of Scherzer’s contract, the slight differences in performance do not show that the elder statesman clearly exceeds Sevy’s value. Members: Chris Sale, Madison Bumgarner, Corey Kluber, Jacob deGrom, Aaron Nola, Blake Snell. I’ll begin with the ones who can be essentially written off right away. Aaron Nola (2.48 ERA) and Blake Snell (2.24 ERA) are both 25, former top prospects, and making less than $1 million this year. That’s basically where the comparisons to Severino end. While both are having terrific breakout seasons, neither has come close to Severino’s dominance either this year or last. Should each of these guys sustain their success, then perhaps they can enter into a future conversation. For now, they both solidly trail Severino in terms of value. Kluber (2.94 ERA) and deGrom (1.84 ERA) are each elite pitchers controlled at a relative bargain by their teams for about $7.5 million apiece. Kluber’s 2.36 ERA since the start of last year is second best in league behind Scherzer, and he has two Cy Young awards including last year to go with it. But Kluber is 32, and already seeing worrying declines in his strikeout and soft contact rates this season. While he is one of the few pitchers whose numbers stack up to Sevy’s and arguably exceed them these past two seasons, Sevy’s relative youth and patterns of improvement rather than decline put him above Kluber. deGrom likewise has a strong track record after five solid MLB seasons including a World Series appearance in 2015. He’s truly put it all together this year posting the best ERA in all of baseball. But, again, deGrom’s numbers are only comparable, not clearly better, and he’s six years older with fewer and more expensive years of team control. 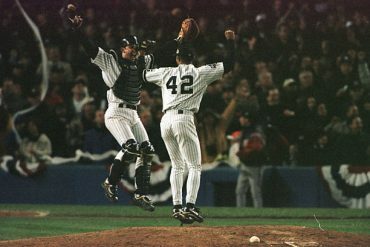 Though arguments can be made for both of these guys, it’s hard to say they’re more valuable than the Yankees young ace. If you’ve read this far, thank you for indulging me in this long-winded ode to Severino’s greatness. The final two players on our list are Chris Sale (2.41 ERA) and Madison Bumgarner (2.51 ERA), likely the two biggest challengers to Severino’s combination of performance, youth, and cheapness. Sale turned 29 at the start of the season and has two more years of control totaling $27.5 million. Bumgarner, who seems like he’s been around forever yet is not turning 29 until this August, is even cheaper at two more years totaling $24 million. And each have track records that Severino can’t yet touch. Sale has come in the top 6 in AL Cy Young six consecutive seasons, including being the runner-up to Kluber last year. He sports a clean 2.94 career ERA to go along with elite strikeout numbers. Bumgarner is a three time World Series champion, including a World Series MVP in 2014 when he almost single-handedly dragged the Giants past the Royals in seven games. For Bumgarner, the knock against him is recent performance and health, as a couple of freak injuries have relegated him to just 22 starts in the past two seasons. While he’s continued to be excellent on the field, and his outstanding postseason record speaks for itself, there is no question Severino has far exceeded his on-field value in recent memory. For Sale, it’s practically impossible to come up with a red flag. His inexperience in the postseason and 8.38 ERA in last years’ playoffs stand out, but a similar argument could easily be made for Severino. At the end of the day, the answer comes down once again to youth. Severino is five years younger, which means right now his value exceeds that of Sale despite the more limited track record. Ultimately, no matter which way you slice it, Severino is an ace the likes of which Yankees fans haven’t been treated to in a long, long time. His electric stuff and commanding on-field presence are a pleasure to watch, and there is arguably no pitcher in the league I’d rather watch take the mound every fifth day. This exercise merely goes to show that Severino is a gem that fans should treasure, and continue to watch blossom as the heir apparent to baseball’s pitching crown. If he continues at this rate, a first AL Cy Young could be in the cards for the young Dominican right hander. Let’s hope that a World Series ring is also among his 2018 accomplishments.